Wow. LOTS of stuff happening right now and NAB hasn't even started. I've been slammed with work lately and my computer has been in the shop so feeling a little out of the loop. I'm writing this blog post on my phone with the SquareSpace iPhone App. We'll see how it goes. I was at Arri CSC in Secaucus all day yesterday and they are all very excited about the Alexa which then got me equally excited. The specs are impressive and the modularity and interface are brilliant. I think Arri, RED, and maybe a few other company's have recognized that in this technological renaissance we're living in, you can't just make a camera and put it out there anymore. It needs to be able to adapt to the constantly changing production and post production environments or else it'll end up a very expensive paperweight in a year or less. I think the "direct to edit" ProRes capture feature on the Alexa is great to have on a high end camera like this. I've been working with the AJA Ki Pro a lot lately and I'm just amazed at the quality of these ProRes HQ files. Because it's a master quality image and is so well integrated in post production (except Avid) I think ProRes capture is going to have some serious legs in the next few years. The Alexa can also output RAW Bayer data as well as good old fashioned 1080p to tape or data recorder. Oh and you can change the lens mount. And it's base sensitivity is 800 ISO with 13.5 stops of measured latitude. Yes indeed I think Arri has been paying attention as of late. I cannot wait to start working with it. 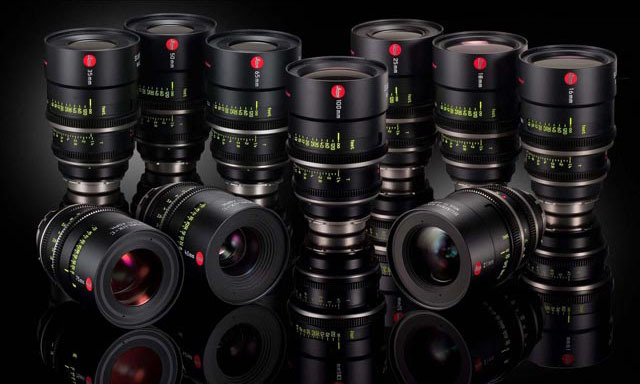 Next - Leica PL Primes! These are Band Pro's "Mystery Primes" - a set of 16, 18, 21, 25, 35, 40, 50, 65, 75, 100 mm all T1.4. Nice. Anyone who has ever had the pleasure of working with Leica lenses has reason to be excited about these. Last but not least - new VRI camera, Phantom Flex. Working with the Weisscam HS2 a lot lately, I've become a little fatigued by the Phantom's clunky interface and computer control software. No mention of how this new camera will be controlled other than a dedicated port for the Phantom Remote Control Unit (RCU). Hopefully they've taken a play from the Weiss book and are serious about losing that damn laptop and making camera operation a slightly less headache filled experience. "Those of us who have been around awhile are marveling at the rate of development our industry is experiencing at the Digital Cinema level right now. It may be that future bloggers (can we call them “Floggers”?) will look back at this time in the history of Digital Cinema and declare it a unique era of technical fertility and creative vision." I think that really sums up what is happening right now in this industry. Keeping up with all of it is a full time job and I've barely even started figuring out 3D and how I'm going to bring my DIT skill set to those shoots. Based off the RED MX, Alexa, Flex, and others; it seems high ISO cameras are quickly becoming the new standard. It's pretty incredible seeing as how a few years ago when we were shooting on HVX200 with lens adapters our base ISO was around 80 and still fighting to get a clean, noise free image. Which brings me to a related point of (dis)interest - The Panasonic HPX370. Really? Another 1/3" camera from Panasonic with a funny number for a name? So as of a few days ago, here is the Panasonic HPX family - 170, 300, 370, 500, 2000, 3000, 2700, 3700, and there may be another one I've missed. Now tell me how they're all different? I've been using Panasonic cameras for years and continue to do so but I think they could use a little help in their marketing department. There are just too many cameras that aren't that different from one another and their model numbers are far too similar. I don't get it. So as you can see, I'm not terribly excited about the 370. I used the 300 a few times and even then I thought what is the point of a master quality codec shot with a plasticky, low quality ENG lens on 1/3" sensors? Maybe with the $2,800 Letus 1/3" Relay Lens, $4000 Letus Ultimate, and some Nikon Primes I'd be tempted but it seems like an awful lot of effort for something that's becoming more readily available is smaller, more affordable cameras. It's great Panasonic improved the sensor block and addressed the camera's known issues but in this brave new world of small cameras with big sensors, I'm a little confused over why anyone would want to run out and buy the 370. Now that I have the Mark 2 and understand its limitations, small chip cameras for me are dead dead dead. Even an EX-1 with a lens adapter, while the pictures are nice, it's just an awful operating experience compared to a tiny SLR with a follow focus and shoulder support. In fact here are some images from a Mark 2 shoot we did last week.